Have you ever had a dream in which a particular number was very vivid? The interpretation of dreams involving numbers is closely tied to numerology - the study of numbers and the hidden meanings they may have that affect your life. In order to understand a dream about a number, you should stick to a basic number, such as anything between 1 through 9. If you dream of what appears to be a year, such as 1980, you can break that down into a basic number by adding 1+9+8+0 to get 18, and then add the 1+8 to get 9. But there are some master numbers that have certain significance as well. Generally, odd numbers are considered aggressive while even numbers are seen as peaceful. Zero can symbolise God, but it can also be symbolic of timelessness, eternity, and freedom. If you dream about the number one, this is usually symbolic of individuality. You may be a loner or a leader in your family, workplace, or community. It may also be symbolic of a winner, so you may dream about the number one after you feel you have accomplished something great. Number two is a sign of the balance or duality of a partnership such as male/female, mother/father, or yin/yang. It can also stand for diversity or openness. It may represent your soul and be symbolic of strength or weakness. If you dream of the number three, you may hope for inner strength. You may also have a need to show off your creativity or imagination. It can also stand for self-exploration. Just as two is a partnership, three is symbolic of the trilogy – the past, present, and future or a father, mother, and child. Dreaming of the number four shows that you are feeling very stable, but it can also be a sign of physical limitations. It can be symbolic of earthly things but it can also stand for worldly matters as well. The number five is associated with a bold and daring nature. If you dream of the number five, you may have a desire to be spontaneous with your actions and make sudden changes. Five is also associated with the five senses: sight, hearing, touch, taste, and smell. Like two, six also represents a balance or a partnership, such as a marriage. It is also representative of family and love as well as warmth and harmony. If you dream of the number six, you may be feeling particularly spiritual and happy in your marital bliss. Seven is symbolic of intellectual perfection, music, and healing. People who dream of the number seven are often eclectic individuals who are one of a kind. Dreaming of the number eight can show power and authority, which you may have gained through your instincts and intuition. It can also be symbolic of wealth and material gains. Nine stands for a reformation or a rebirth of something or someone. It can also mean you are feeling particularly productive in your waking hours. The number ten is associated with closure and strength as well as gains. Other numbers in your dreams can have meaning as well, without breaking them down to a single digit. 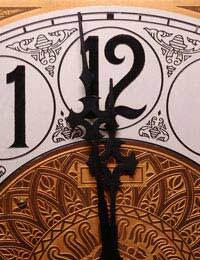 The number twelve is associated with spirituality and divine perfection. Dreaming of thirteen is a tricky one – it can mean death and life, a beginning and an ending. If you dream of the number fourteen, you may be going through a time of great change. Fourteen is symbolic of the unexpected and it reminds us that we must adapt to our ever-changing conditions. Eighteen can be a sign of the conflict that your spiritual self may feel with the part of you that desires the material things in life. Twenty-one is representative of a turning point in your life – just like when we reach the age of 21 and suddenly find ourselves being treated as adults. Forty can be a number of cleansing – a time in which you need to move on and grow. Fifty is a very holy number and sixty is associated with longevity. Just as with our other dreams, the numbers that appear to us while we are asleep are trying to tell us something. If you dream of numbers frequently, you may want to learn more about numerology as well and how it can be used to help you understand your life and the circumstances you are going through. What if you dream more than one number like 10 numbers? the first 3 were the pump number and isle number at the gas station then the next 7 was a telephone number of my mother in the dream but she is deceased in real life. I was at the gas station in the dream when I called the number. can anyone explain that? now about 2wks ago I dreamed of my mother and that day I played her birthday in the pick 3 it came out and I won. So should I play those numbers I just dreamed of as well?